BJP MLA Kirti Kumari Dies of Swine Flu: The BJP MLA from Mandalgarh in Rajasthan’s Bhilwara district, Kirti Kumari, died of swine flu today at a private hospital in the city. The 50-year-old Kirti Kumari was admitted to Fortis Hospital yesterday from the state-run SMS Hospital following complication in breathing due to swine flu, Medical Superintendent of Fortis Hospital, Dr. Shrikant Swami said. She breathed her last this morning, he said. 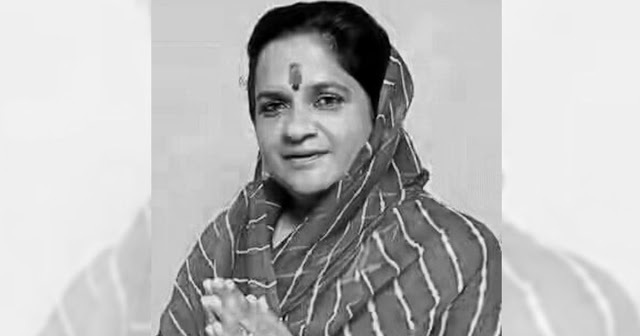 Kirti Kumari held various positions in committees of Rajasthan Assembly and within the organization.She hailed from the royal Bijolia family of Rajasthan. As the news of her demise spread, a pall of gloom descended on Mandalgarh and among party ranks Rajasthan Chief Minister Vasundhara Raje condoled her death, saying it was an irreparable loss for the BJP.